FreshwaterLifeEliteR AmazonWaterTM contains trace elements, vitamins, and extract of tea and peat moss. It replicates blackwater conditions by creating clear, “natural,” Amazon-biotope conditions in the aquarium. 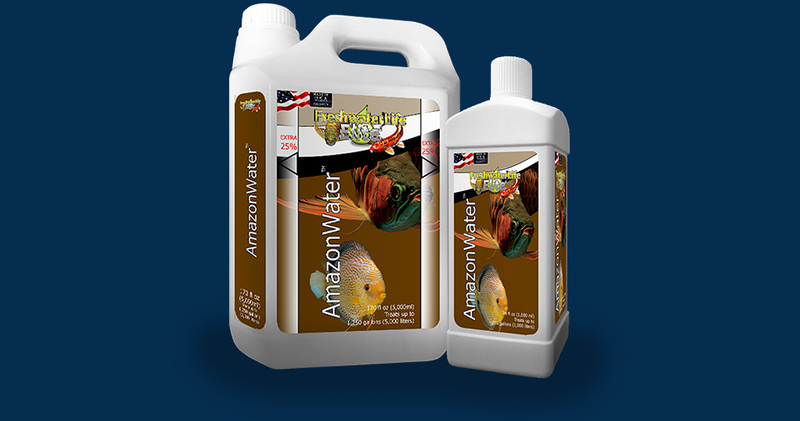 FreshwaterLifeEliteR AmazonWaterTM promotes fish activity levels and is an excellent conditioner for all soft-water fish including discus, angelfish, tetras, killifish and arowana. It is establishes similar water conditions to those found in amazon rivers, to important aquarium fishes and plants. FreshwaterLifeEliteR AmazonWaterTM used to help simulate the onset of the rainy season for encouragement of fish spawning. Provides humic substances (humic, fulvic and tannin acid), complex bio-organic molecules known to increase the availability of important nutrients (such as iron, calcium, magnesium, molybdenum, copper, manganese, zinc, cobalt, and nickel) to plants, potentially enhancing the effectiveness of plant nutrient solutions in aquaria. Add 20 ml (1 capful) per 5 gallons (20 liters) for first use. Then add equal amount of water that change out. And add after every water change. Deionized water, Tea, Peat Moss, Tannin and Fining. Although FreshwaterLifeEliteR AmazonWaterTM is rich in minerals and vitamins but it is from natural, it is not concentrated. 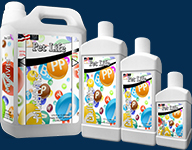 PetLifeEliteR C+VitaminCTM will accelerate the coloration of the fish by direct ingestion. PetLifeEliteR C+VitaminCTM has a coating that can be mixed food, the vitamins will not dissolve. If you need vitamins through the gum, we recommend PetLifeEliteR MultiVitsTM is easier to use.